Cervical Spondylosis, along with Cervical Myelopathy is commonly referred to as Cervical Spondylotic Myelopathy. It refers to weakened function of the spinal cord, resulting in regenerative changes to facet joints and discs in the spine and neck. This is the most widespread disorder that causes dysfunction of the spinal cord (Myelopathy) and is common in patients over the age of 50. As the spinal cord delivers nerve impulses to other body parts, patients with Cervical Spondylotic Myelopathy can experience issues like weakness and numb feeling in the hands and arms, loss of balance and coordination, as well as severe neck pain. Physicians recommend treating the problem as soon as it is diagnosed, as it can gradually lead to partial or complete paralysis. Non-surgical treatments for Cervical Spondylotic Myelopathy involve treatments aiming at reducing the pain by decreasing nerve root and spinal cord inflammations. Such treatments also improve a patient’s ability and functions to perform normal day-by-day activities. It generally consists of blending temporal immobilization of neck, steroidal and non-steroidal anti-inflammatory medications, as well as physiotherapy. Non-steroidal anti-inflammatory medications such as COX-2 inhibitors and ibuprofen are usually recommended to treat the issue. However, other treatments like epidural steroid injections and cervical tractions are also performed depending on the Myelogram findings. Patients having overt spinal cord compression that leads to spinal cord dysfunctions are usually recommended to go for a surgery. Also, when medications or physical therapies fail to show any improvement of the symptoms even after 4to 6 months, surgeries are advised as a final resort. Cervical Laminectomy is the most recommended procedure of removing posterior aspects of spinal canal in order to decompress the spinal cord and reduce the pain. However, majority of anomalous anatomy resulting in spinal cord compression is anterior to the spinal cord itself. So, this could only be addressed by a Cervical Laminectomy, but the procedure might fail to benefit, or even worsen the symptoms at times. Most surgeons go for anterior decompression of spinal cord and nerve root surgery procedures (Anterior Cervical Decompression and Fusion operations). Internal support will be provided using plates and screws for supporting cervical spine and to endorse bone graft healing. As this surgery involves direct removal of the damaged disks that is causing the spinal cord compression, and does not manipulates the spinal cord and nerve roots directly, this is safer and effective than Cervical Laminectomy. 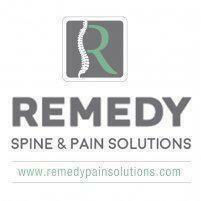 While joint pain remains one of the most commonly treated symptoms at Remedy Pain Solutions, many patients are not aware how common joint pain is within the spine itself. Pain in joints such as the knee, shoulder, hip, elbow, and wrist can be treated by a minimally invasive procedure known as an intra-articular joint injection. Benefits of Radiofrequency Ablation, also known as Rhizotomy.